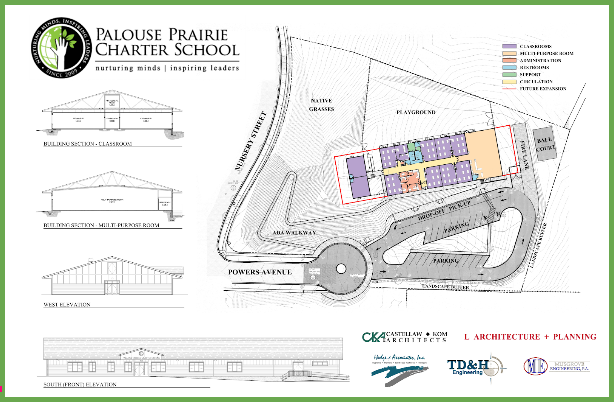 Palouse Prairie Charter School (PPCS) is located in the northern Idaho town of Moscow, nestled amidst the rolling hills of the Palouse. 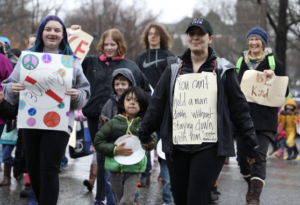 Palouse Prairie was founded as an Expeditionary Learning model school in 2009 by educators, parents and community members who desired an inclusive, respectful and supportive learning environment that nurtures the individual as a thoughtful participant in our local and global community. The school opened with 65 students, grades kindergarten through fifth. 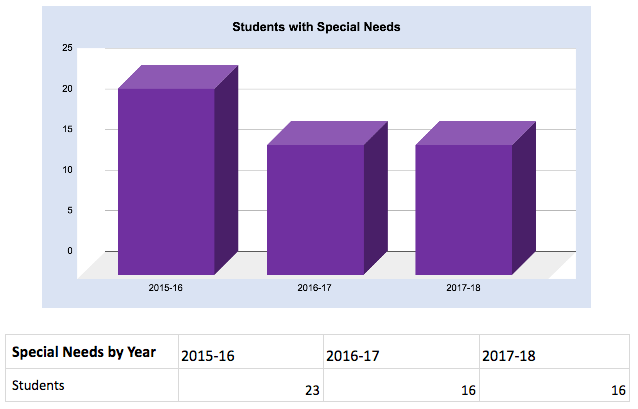 Over the next three years one grade was added per year to reach our current configuration of kindergarten through eighth grade. Our student body has increased each year to our current total of 187. The eighth grade graduating class of 2018 will be the first class whose students have attended PPCS since kindergarten. The instructor of that first kindergarten class has grown from teacher to curriculum director and is now our current executive director. As the student body and teachers of PPCS have grown and excelled, so has the achievement and reputation of the school itself. We are currently ranked in the Top 5 Public Charter Elementary and Middle Schools in Idaho, Top 10 Best of all Public Elementary Schools in Idaho, and Top 10% of Best Charter Elementary Schools in America. Using the EL Education model, we emphasize high achievement through active learning, character growth, and teamwork. We have worked hard to come this far and we continue to challenge ourselves to realize our school’s potential as a model of authentic, hands-on learning that meets the highest academic standards while preparing students to be active, engaged citizens. 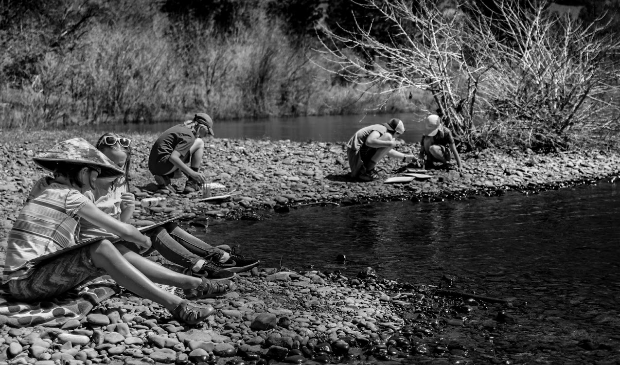 The mission of Palouse Prairie Charter School is to engage the children and the community of the Palouse in a rigorous and collaborative education of the highest standard by fostering a spirit of inquiry, a persistence towards excellence, a responsibility for learning, and an ethic of service. 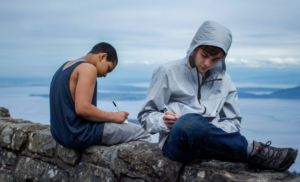 At Palouse Prairie Charter School, we’ve proven that a school is much more than a building. In makeshift classrooms in a converted furniture store, we’ve built a vibrant and nurturing educational community, a place where students think critically, inquire for themselves, and push courageously to try new things. We’ve made the most of our current facility over the past nine years, but now we are poised to build a home for our future. We have purchased 3.25 acres of land and plan to break ground the spring of 2018. This video created for our capital campaign does an excellent job of communicating our school’s values and culture. 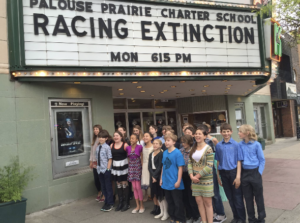 Palouse Prairie Charter School is part of the small and engaged community of Moscow, Idaho. Moscow is home to the University of Idaho and is situated near the Washington State border, approximately 15 minutes away from Pullman, WA and Washington State University. Though we are a community of 24,000 people, the melding of two university towns provides support for a wide array of cultural events, community groups, and non-profit organizations. 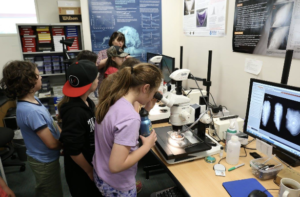 The influence of two established research institutions provides abundant resources for expeditions and field experts. In the past few years, our demographics have shifted slightly as our school has grown and our community has become more diverse. However, these visuals can be slightly misleading- we are a small school. The addition of one or two students who fit a particular demographic can significantly shift the percentage of students in that category. 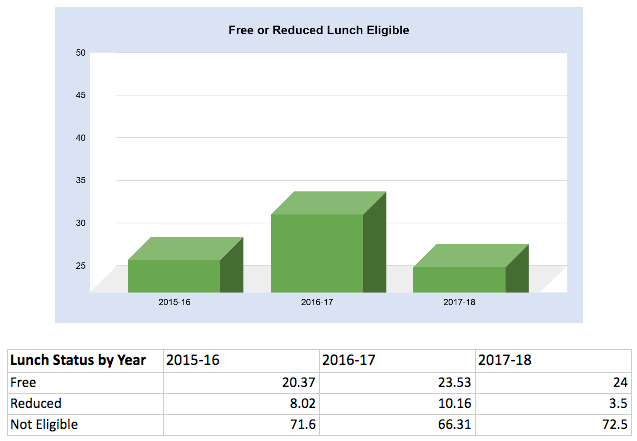 The number of students who qualify for the federal free and reduced lunch program, for example, oscillates between 25%-35% of our student population. This change represents less than 20 students who are eligible or become ineligible for this service. Notably, our racial diversity has increased over the last three years. 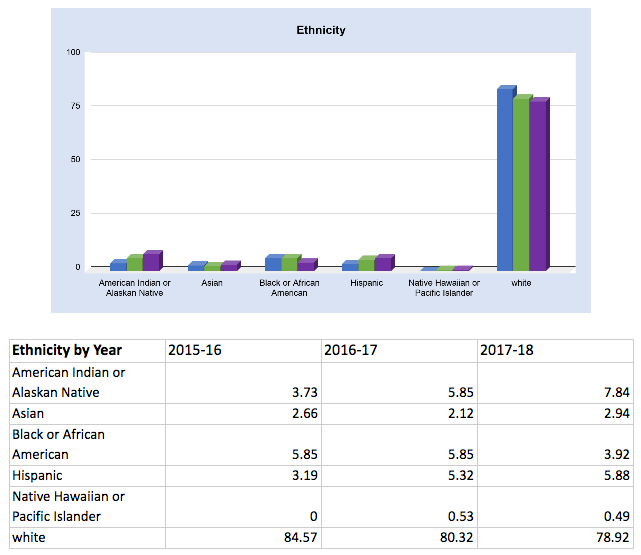 Again, this does not represent a large number of students, but we feel that this is significant because our school attracts a more racially diverse population (by percent non-white) than our neighboring district schools and the state of Idaho. 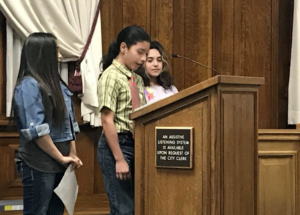 This article in the regional newspaper, the Lewiston Tribune, reflects the importance of our school’s diversity and highlights how we may be unique among charter schools in Idaho. 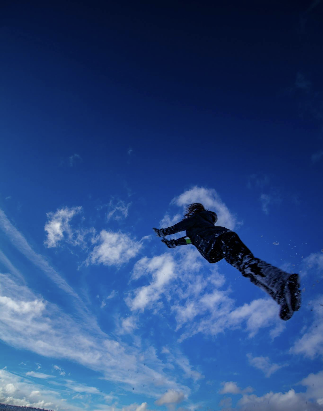 Our teachers produce expeditions that allow our students to soar. Expeditionary Learning began with ten design principles and not much more. The details of EL Education were built over the past 25 years with the dedicated educators, like those at Palouse Prairie Charter School, who have brought the design principles to life. They are the beneficiaries of EL’s legacy while at the same time, truly the creators of its future. 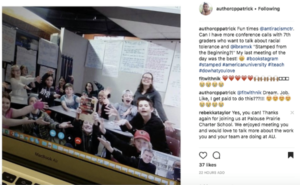 Palouse Prairie teachers and the expeditions they create have allowed our students to collaborate with noted figures from around the country, have their work presented in national forums, influence public policy, and experience National Geographic-worthy outdoor adventures. Palouse Prairie Charter School has more accepted submissions to EL’s Model of Excellence website than any other EL network school. 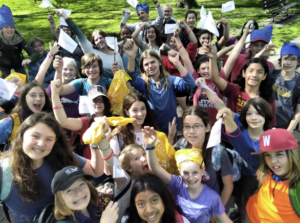 The Frederick Douglass Family Initiatives flew PPCS middle school teacher Rebekka Boysen-Taylor to Washington, D.C. during the summer of 2017 as a result of her inspiring work with The People Could Fly, an expedition about slavery, abolition, and the roots of racism. 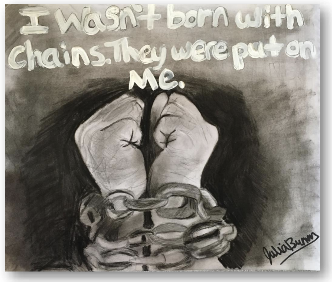 At The Library of Congress, she collaborated with an inspiring team of educators, to create curricula in honor of Frederick Douglass’s 200th birthday. Ms. Boysen-Taylor’s unit for grades 6-8 is called Choosing Change. All of the free downloadable lessons are available at this link. 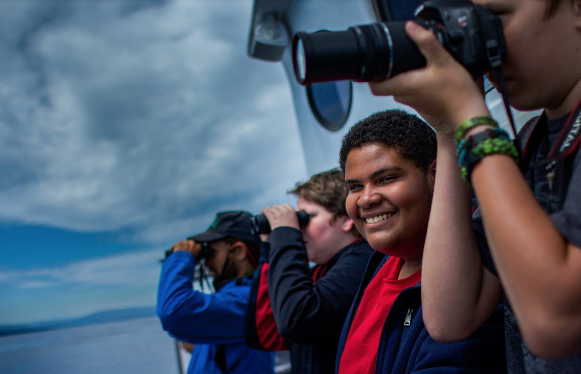 While on fieldwork in the San Juan Islands for their Blackfish Effect expedition, the 7th grade crew of Greg Pierce witnessed the extremely rare sighting of a pod of orcas on a hunt! The kill lasted about an hour while students watched from approximately 50 yards away. 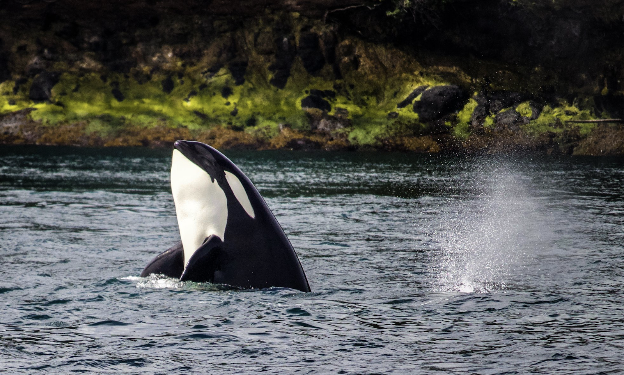 It was determined that the pod of 5 transient killer whales was hunting a harbor porpoise. 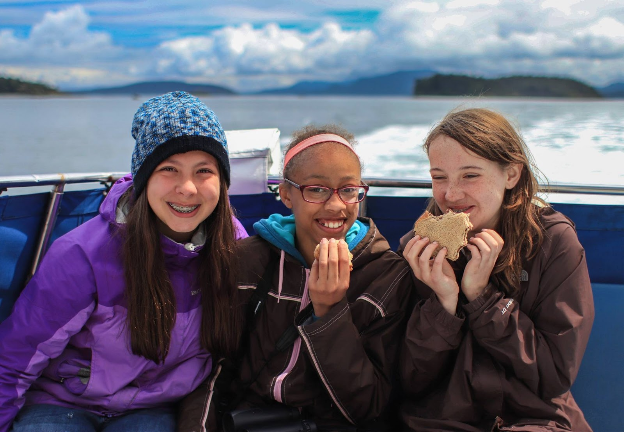 Students also worked with Samish elders learning about their culture’s relationship to whales and how that relationship is expressed through their unique cultural art forms, and received instruction on how to create formline art. 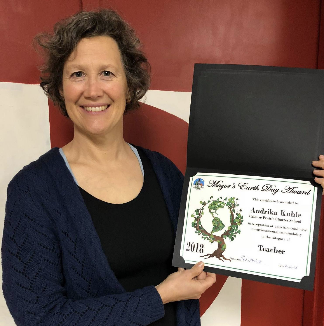 Middle school science teacher, Andrika Kuhle was chosen to receive the Mayor’s Earth Day Award in the Educator category for her Farm to Food, Plugging into Sustainability, and Water is Life expeditions with PPCS middle school students and was recognized at the City of Moscow Council Meeting April 16th, 2018 at City Hall. 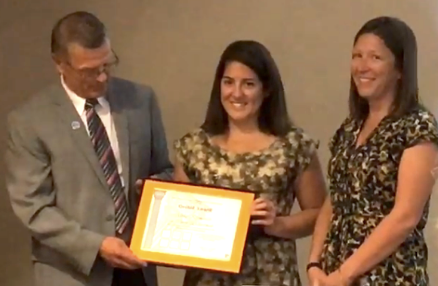 1st and 2nd grade teachers Alissa Klemencic and Cassie Schierman were presented with Moscow Historic Preservation Commission’s Orchid award for cultural heritage preservation by Mayor Lambert on October 7, 2016. As part of their expedition, From Wood to Brick on Main Street, Moscow: How Our Town Developed into a Community, first-graders drew modern buildings and focused on the current role that buildings play in our community. 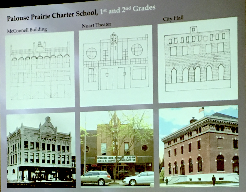 Second-graders drew historical buildings and shared how the buildings’ uses have changed over time. 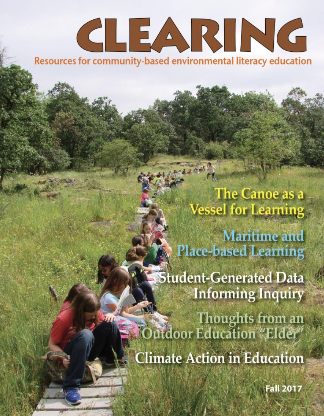 Fourth grade teacher Renée Hill, was published in the environmental education magazine CLEARING! 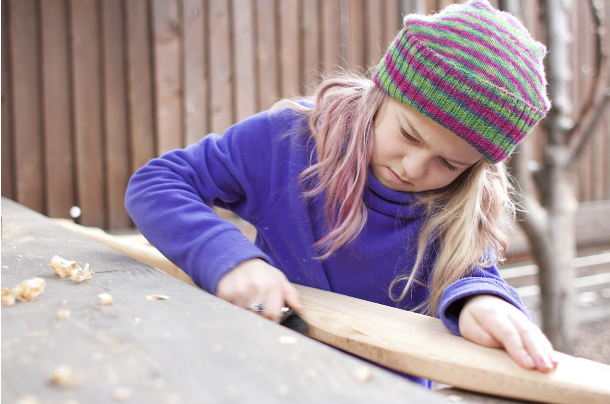 This article highlights the Confluence of Cultures expedition curriculum and canoe-building process of the 2017 fourth grade crew. The fourth grade crew built a David Thompson style cedar plank canoe and paddled it on its maiden voyage alongside representatives of the Nez Perce, Kalispel, and Colville Tribes, including the Chairman of the Nez Perce Tribal Council. This event was made possible in part by funding from a Paddle Nation grant. 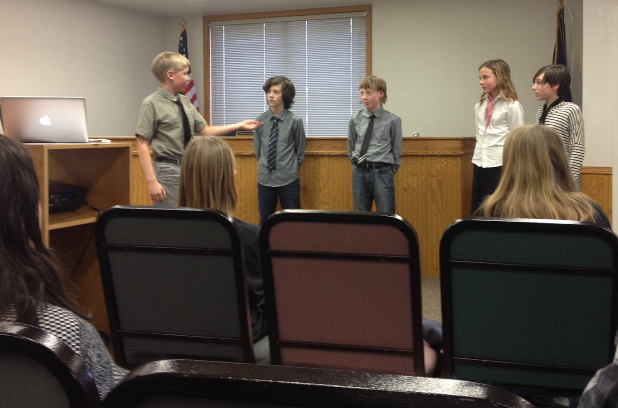 In their Bullying in the Eyes of the Law expedition, 3rd and 4th grade students learned about the structure and process of the judicial branch of government through the lens of bullying and proposing legislation around it. 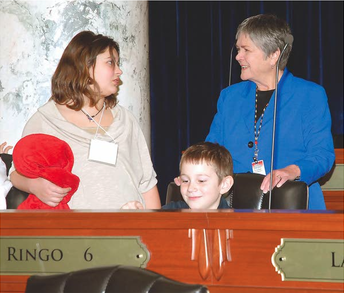 Teachers Bethany Gallo and Jessie Dahlin traveled with their students to the state capitol to lobby legislators for tougher bullying legislation in the form of Bill S1220. Accolades for their expedition came from legislators and the editors of the local newspaper through this editorial. The work of students was also written about in this article. 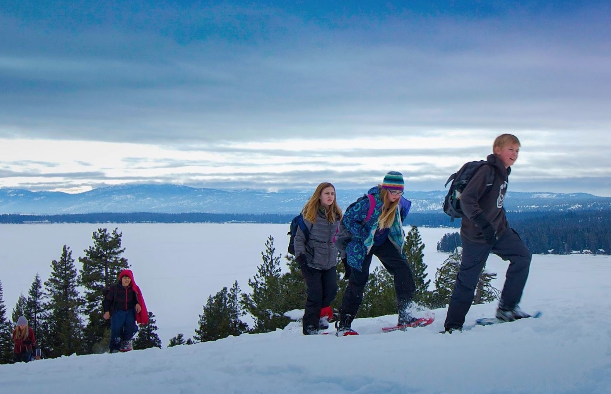 Through Palouse Prairie Charter School’s Adventure Program all students—from the youngest kindergartner to the oldest eighth grader—participate in age-appropriate outdoor adventures including snowshoeing, skiing, hiking, rock-climbing, bicycling, and more. 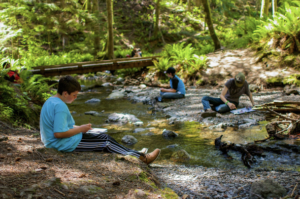 These day-long adventures encourage students to try new things and stretch their courage in safe and supportive experiences. 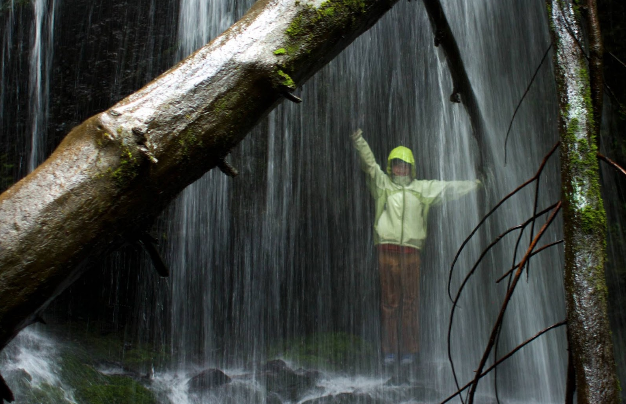 Adventures connect students meaningfully with the natural world and introduce them to activities that they can continue to enjoy throughout their lives. Each adventure is designed to be developmentally appropriate and differentiated to meet the diverse needs of our students. Our climbing adventures have expanded into an after school Climbing Club. 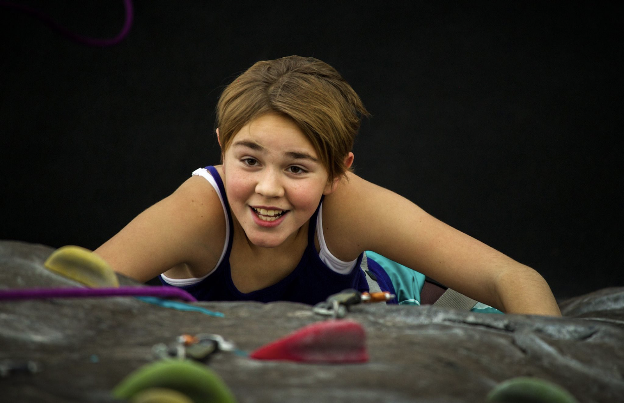 Students climb at Palouse Prairie’s bouldering wall, the University of Idaho Recreation Center, and participate in outdoor climbing and campouts. 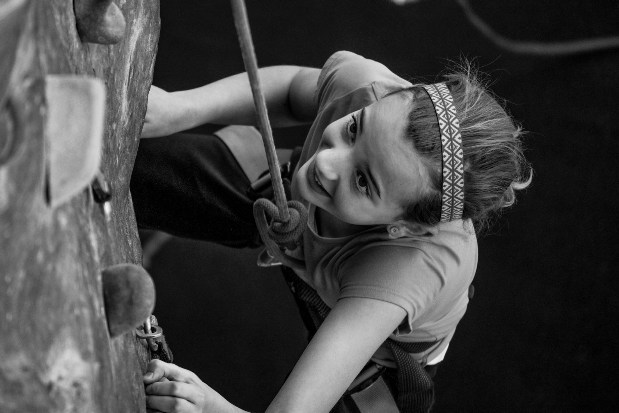 In this video, students describe the way climbing has helped them grow as individuals and as a crew.